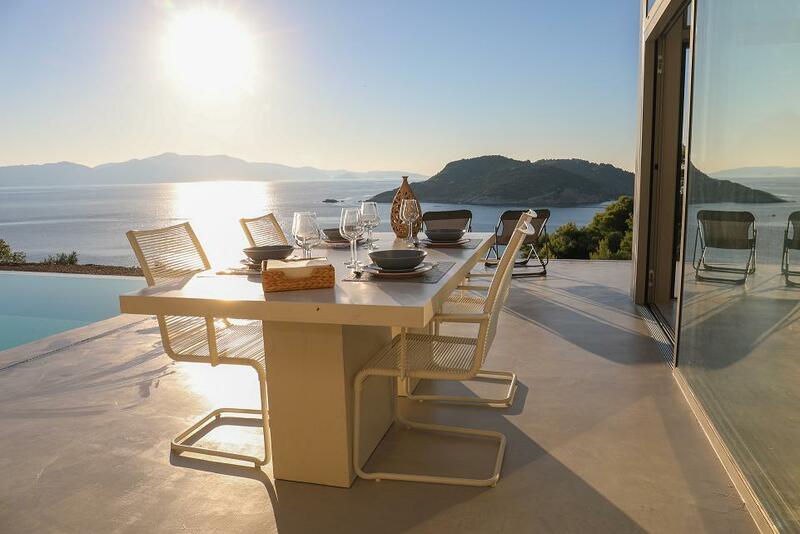 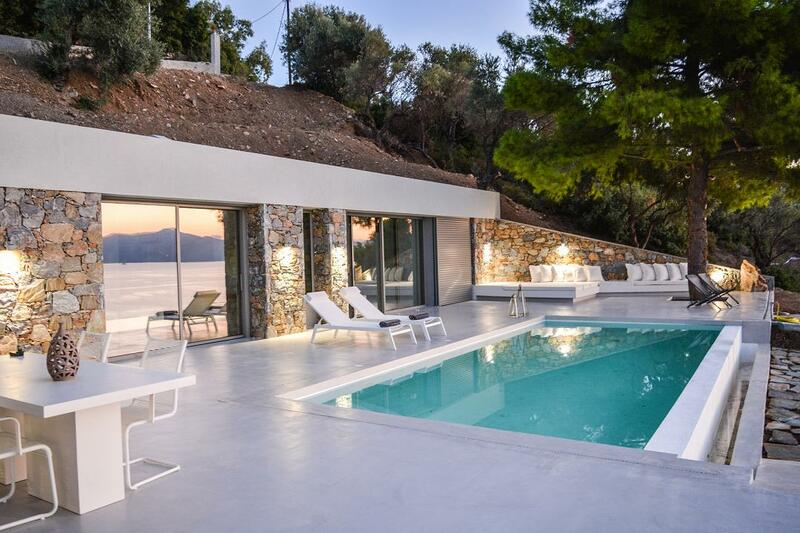 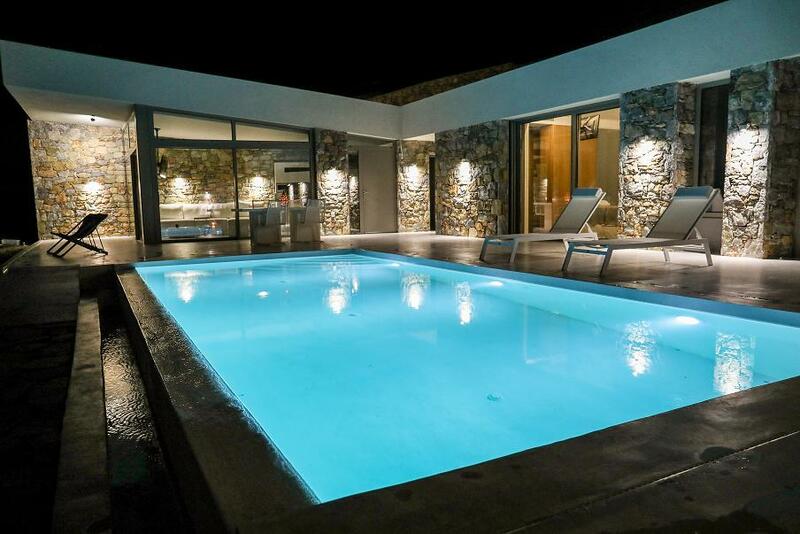 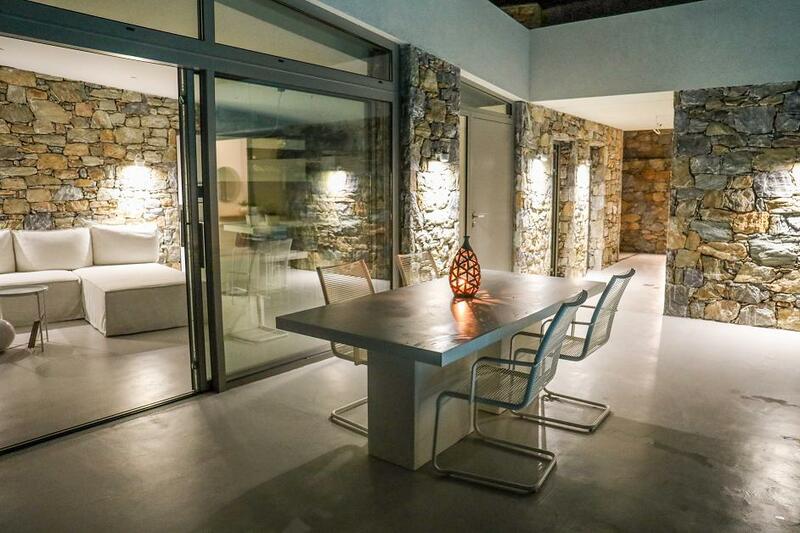 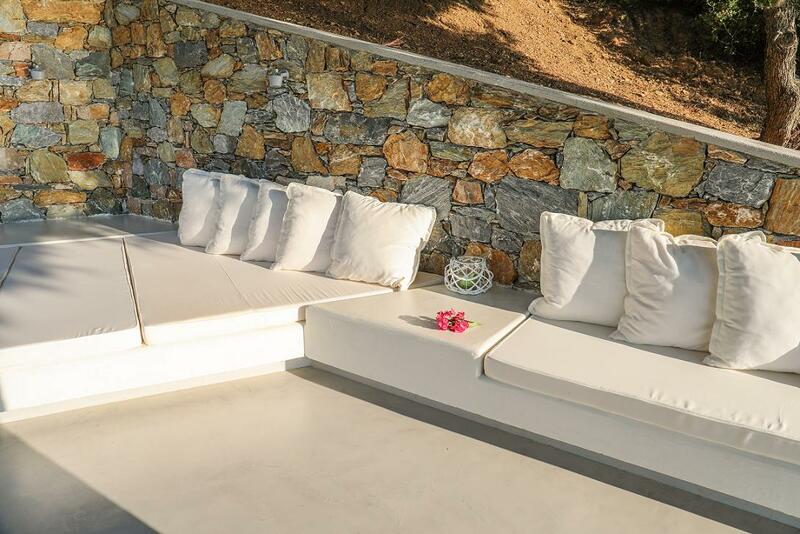 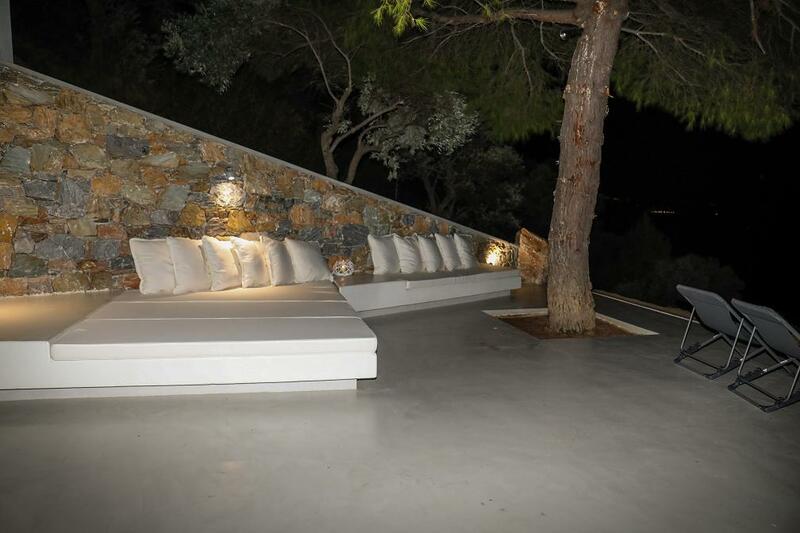 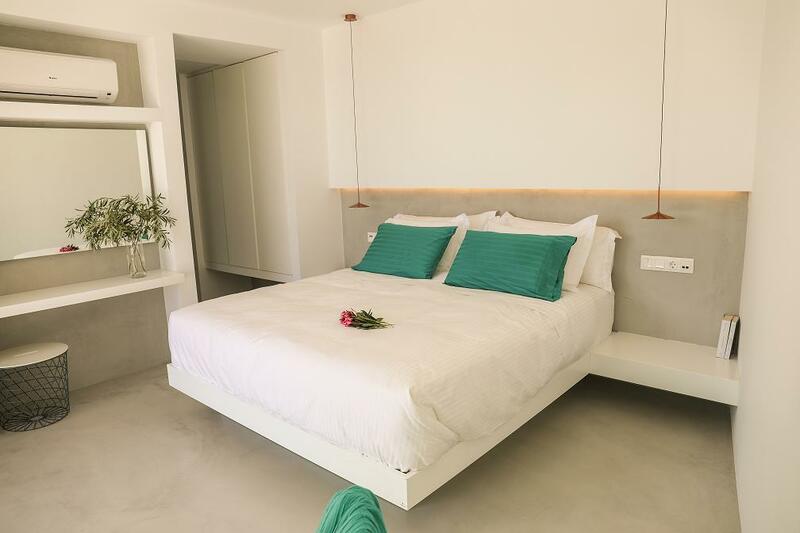 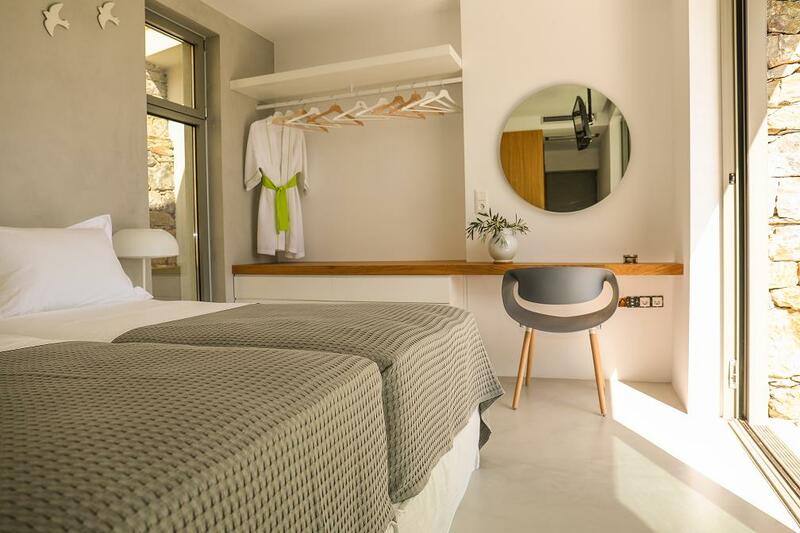 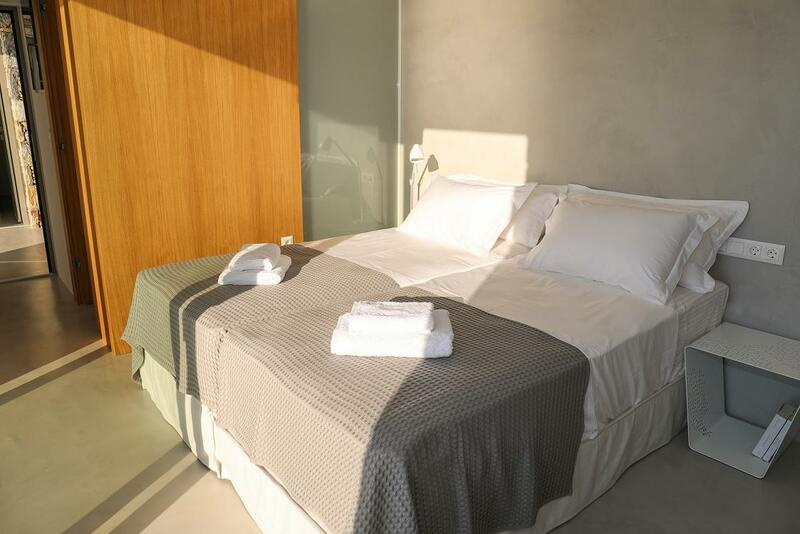 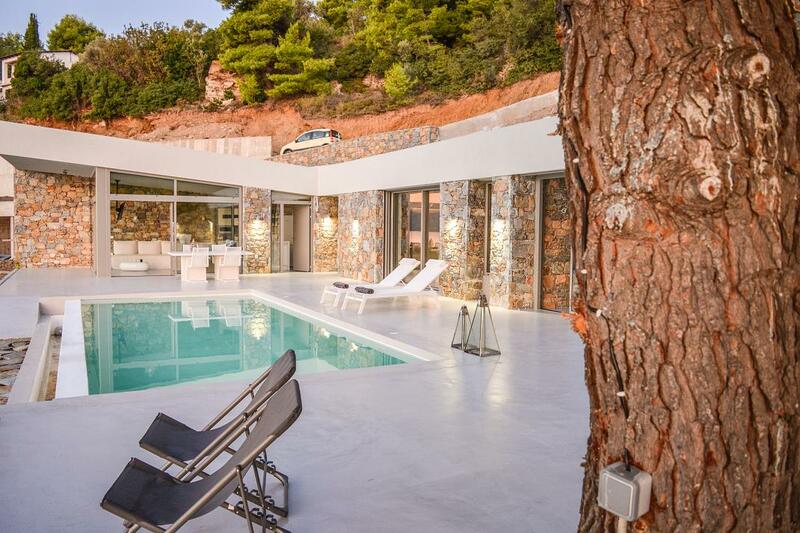 A lovely villa in Pounta area of ​​Skiathos has just been completed. 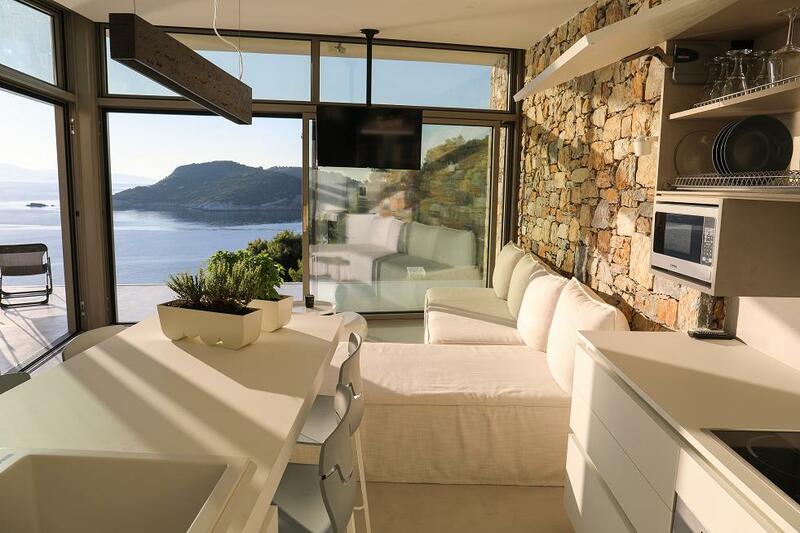 White color dominates the interior of the house both in the PROTEAS furniture . 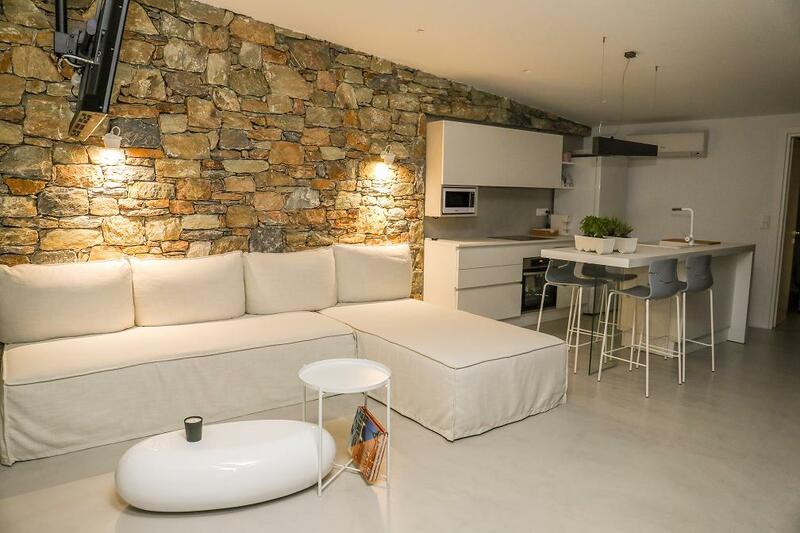 but also its kitchen , comes from the Italian company BERLONI. 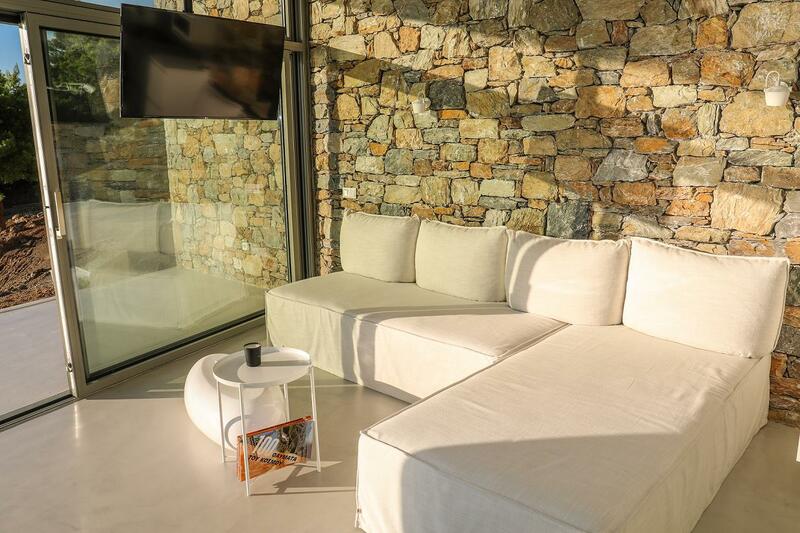 Also a lounge corner was created outside , for moments of relaxation and communication. 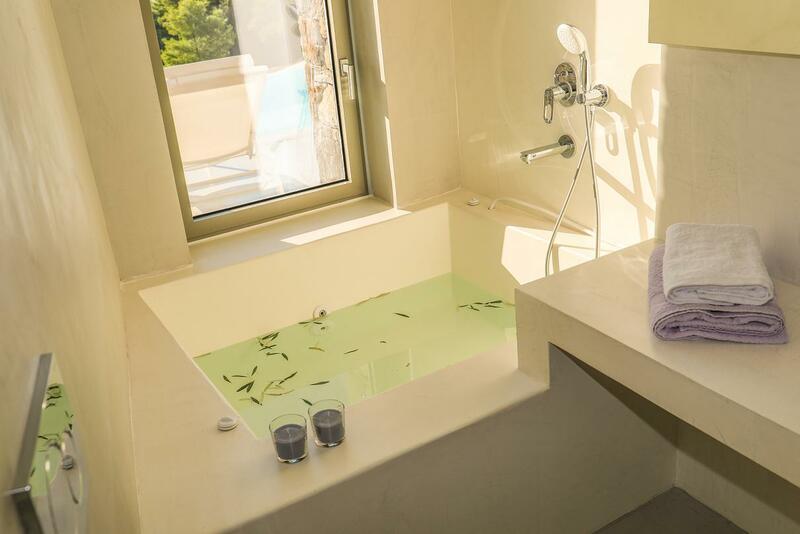 The exterior and interior floors, the walls and the bathroom, have been covered with microcement, giving a unique sense of tranquility and harmony in space.